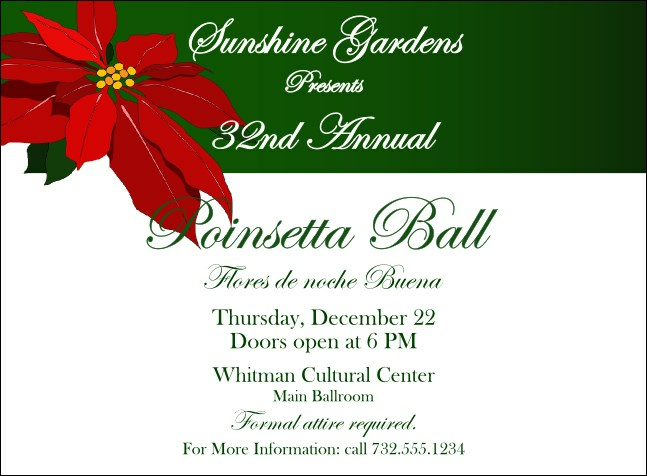 Celebrate the natural beauty of the holiday season and promote your end of the year event with beautiful Christmas Poinsettia Invitations. Featuring a bright green and white background with a vibrant red poinsettia on the top and a faded image of the festive plant in the center, these Invitation templates will have the town ready to rock around your Christmas tree! Plant the best pre-event promotions and make your event flourish at TicketPrinting.com.